Gypsy Boots HomePage "Bare Feet & Good Things to Eat"
James F Scheer, editor of HEALTH FREEDOM NEWS, wrote of Gypsy Boots, "It's impossible to look at Gypsy Boots once. You have to look at least twice, because you can't believe what you saw the first time! Spare as Jack Sprat, crackling-with-electric energy, sun browned with long wild, white hair and a beard bristly enough to scour a burnt-on cooking pan, legendary Gypsy Boots seems to have been born in shorts and a T-shirt. He is 88 years old going on 19 and perhaps the world's greatest advocate and activist for wellness, good health and super nutrition." I met Gypsy Boots aka Robert Bootzin 33 years ago in a small college town in East Texas. Here we are! He was a headliner of a college show called "Gypsy Boots and his Hairy Hoots" and put on a show called the Hollywood Hootenanny! We met after the show and have communicated throughout the years finally coming back together this year in CA which is his home. 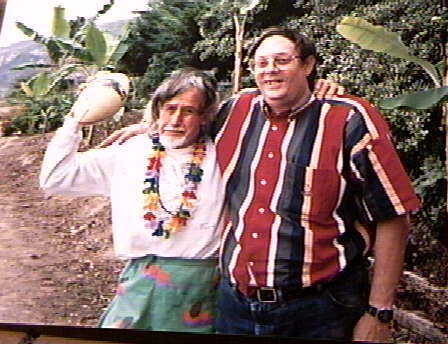 Gypsy is best known probably for his stint as a regular on the Steve Allen Show in the 60's and movies like "Swingin Summer" LISTEN and bit parts in "The Game" but has been an advocate for health foods and healthful living for all his life. Gypsy admires all athletes and he has been seen as a booster for tennis games, UCLA, USC Trojans, Oakland Raiders and LA Rams football games, and at conventions across the country in promoting good health and healthful living. He is a visitor to many celebrity homes in CA bringing them fruits, nuts, good health and energy bars and products. Many of the celebrities are his best friends, especially Michael Douglas! Gypsy has followed Michael's career since Mike was a youth and Gypsy delivered fruit and health products to his Dad, Kirk. They have had many good times together and Michael threw Gypsy a birthday party at Paramont on his 86th B'day. Gypsy was recently in a bit part in Michael's movie "The Game" and has been a frequent guest during shooting of Michael's other movies.Gyspsy says "Thanks for helping the world and helping me. Best of health to your whole family. Especially to Kirk Douglas, a international star, my hero and a great friend I wish him all continued good health." Gypsy has been featured on the Tonight Show, the Best of Groucho Marx, several Hollywood Documentarys: Fruits and Nuts with Gypsy Boots, It's a Fad, Fad Word. He has been in motion pictures: "Untouchables", "Childish Things", "Stone Killer", and "Swingin' Summer". He is the ORIGINAL Nature Boy and "The Original Muscle Beach" with the original nature boy! See Muscle Beach's Mascot and entertainer Gypsy Boots with actor Russ Saunders at Santa Monica. Along the way he has been the friend of many celebrities and sports heros. He has worked out in Thousand Oaks with the Dallas Cowboys and throws a football with a passion at the age of 90 even tossing one clean through the arms of all-pro wide receiver Lynn Swann trying to catch it. I personally can attest to his remarkable ability as I took a few passes from him at his friend house in Southern CA recently. None of the "get-go" has gone out of his step at all!!! Visit Gypsy's Pix Page!! New pixs added!! More to come!Click the dancer if you dare! This page will be expanding as time goes by as we add more details about the neat things that Gypsy Boots has done in his lifetime and the wonderful items he has made available to you at home who are fans! Gypsy is selling his personally autographed books for $15, (Special! 2 books for $25) shipping is included. Free samples of odorless Kyolic with any order & includes autograph picture of Gypsy TOO! 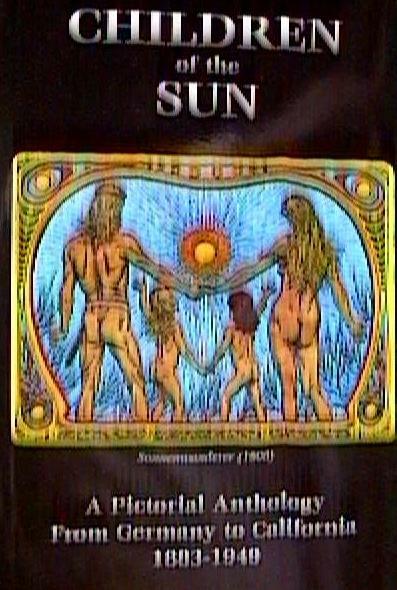 Gypsy's story is also included in a book edited by Gordon Kennedy called "Children of the Sun" and is available along with Gypsy's book "The Gypsy in Me" for $25 from Gypsy. It is an informative book of the lifestyle of the "nature boys and girls" from 1883-1949. Gypsy Boots is pleased you have visited his homepage on the internet and hopes you sign his Guestbook below. He will personally view all the messages. Gypsy says "Watch what you eat. Exercise. Relax. Take Care of yourself. And be able to laugh. Laugh at life and enjoy it, remembering always to be tolerant of your fellow man, regardless of his beliefs and ideas." Thank you for visiting! Gypsy and his great friend, "Pancake" Jack who has been instrumental in helping develop this website! !